Join us to celebrate YOU, our great customers! You won't want to miss this fun-filled day at Vines & Rushes Winery! 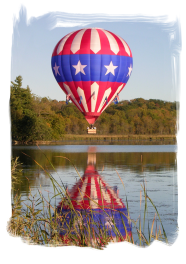 Door Prize Drawings include: Vines & Rushes wood fired pizza and a bottle of wine, Vines & Rushes pairing dinner, Vines & Rushes cooking class, gift card to Log Cabin Bar & Grill, one night stay at Miller's Daughter Bed & Breakfast, and Wisconsin's Majestic Hot Air Balloon Ride! !